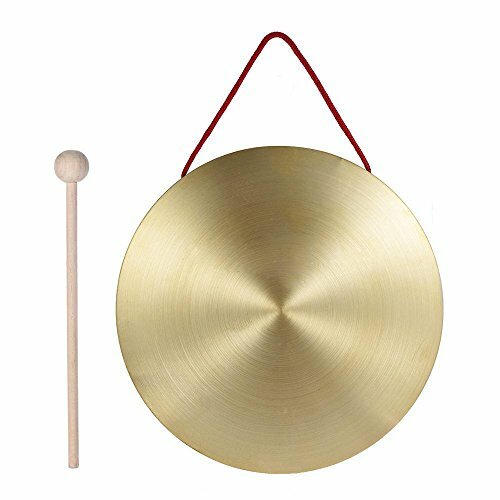 22cm hand gong, small percussion for children, for chapel & opera playing, easy to play. Perfect for improving kids' sense of rhythm, inspiring their musical creativity & talent. As well as for developing children's coordination of hands & eyes. Brass material for producing clear sound, great durability. Supplied with a wooden round play hammer. If you have any questions about this product by TOOGOO, contact us by completing and submitting the form below. If you are looking for a specif part number, please include it with your message.